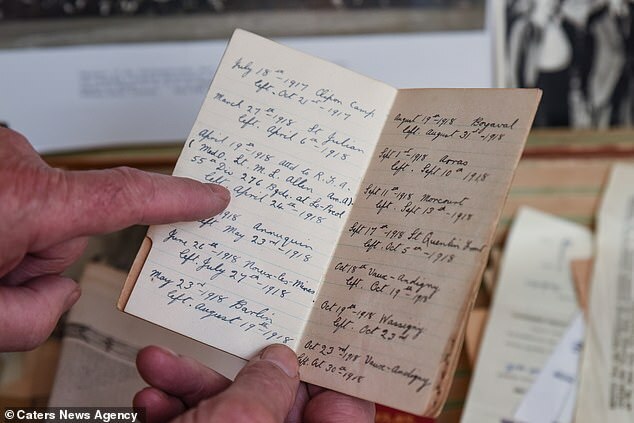 A time capsule containing items from a First World War veteran who died nearly 40 years ago has only just been reopened by his grandson. Fred Deighton served in the Royal Army Medical Corps at the Somme and Passchendale but rarely spoke to his family about the horrors of war. 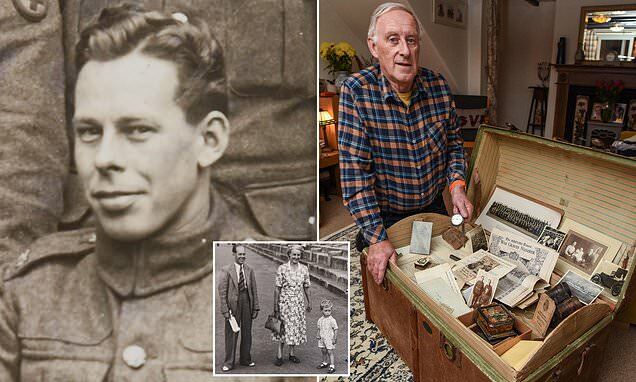 He left a box of letters, photographs and other wartime memorabilia from the war behind for his grandson Graham Underwood after he died in 1976 aged 86 – but the trunk was only opened three weeks ago. 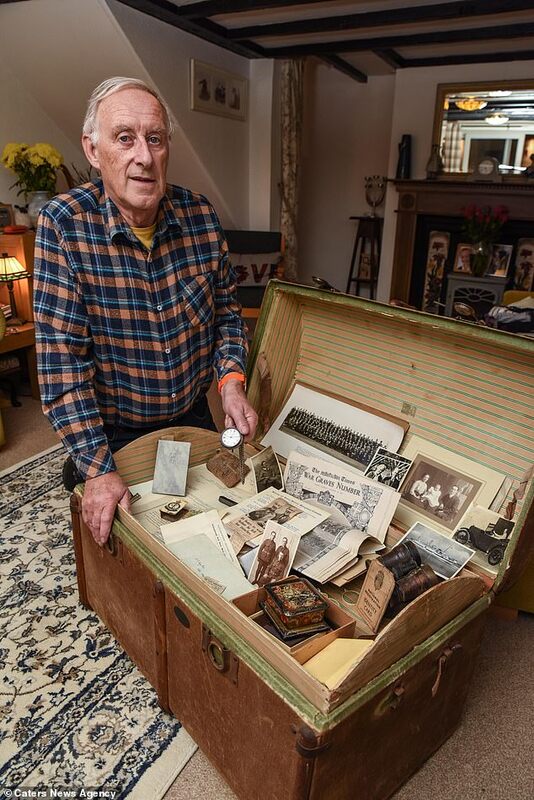 Mr Underwood, 71, from Wellingborough, said: ‘I knew there was stuff in there but never appreciated it’s significance. 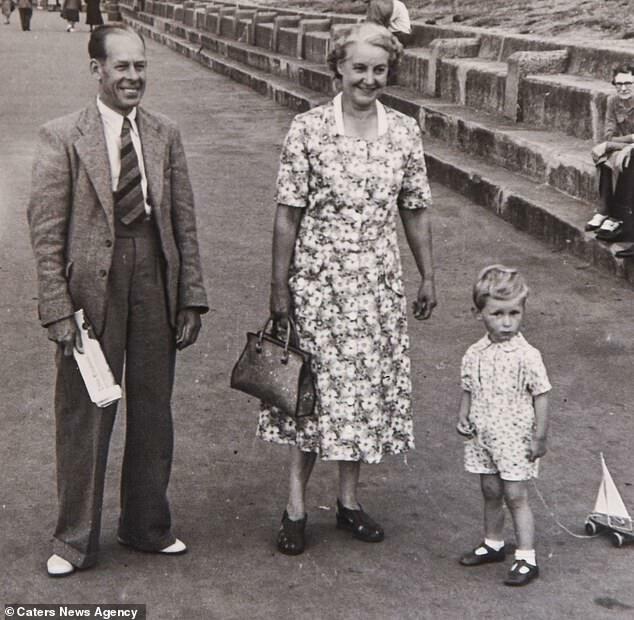 ‘He was a very important part of his life and we spent a lot of time with him. He was a funny, positive man. 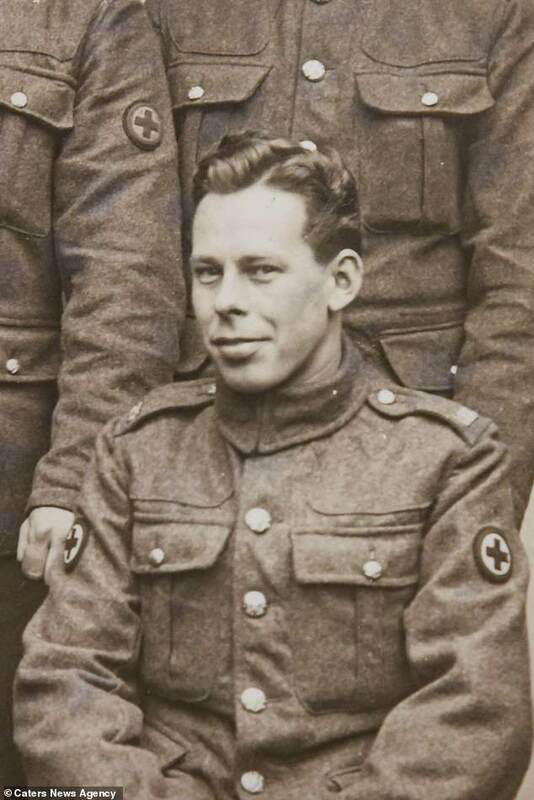 Fred Deighton joined the army aged 22 in October 1915. 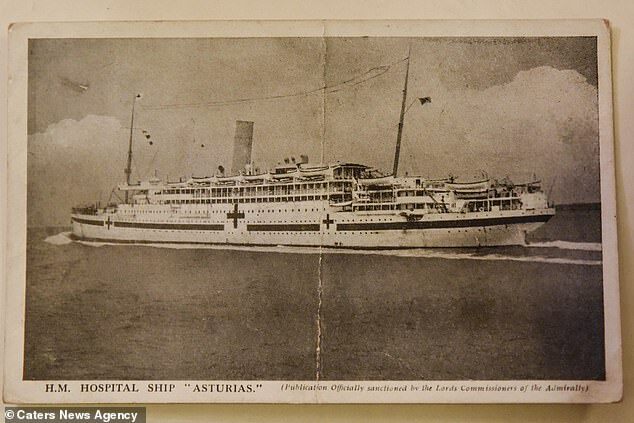 He was wounded in action when he was shot in the head, but returned to serve in the trenches the next year. 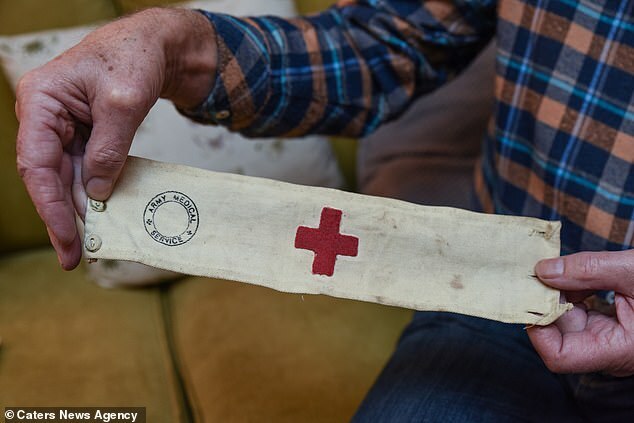 Following the war, Deighton took a job at a local hospital and kept the trunk of war memorabilia for the rest of his life. Mr Underwood, a retired graphic designer, said: ‘Growing up, I never really noticed the trunk. It wasn’t ever opened when I was around. 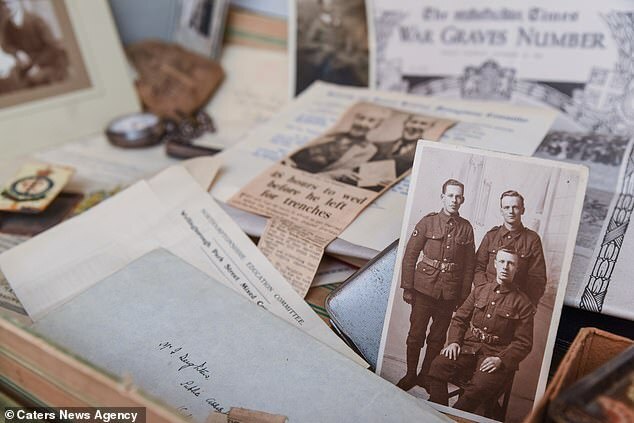 The trunk, which was the only which Underwood took to Flanders in 1915, is full of mementos including bandages, uniform and notes used to treat his patients with in battle. Also included was a watch, more than 100-years-old, which still works. The trunk also contains cartoons drawn by an artist who served alongside Fred. 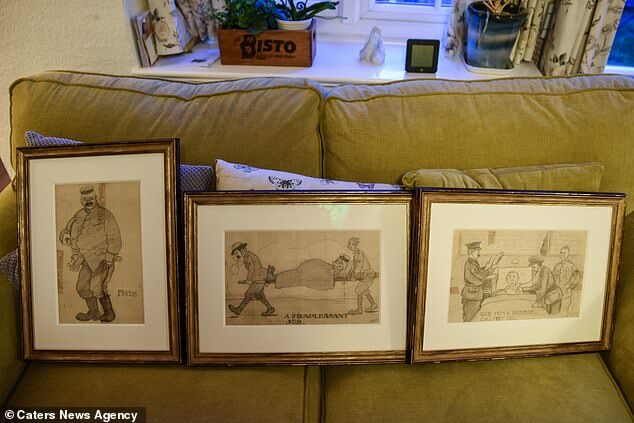 Graham said: ‘He fought with a cartoonist William Owen who designed the famous Bisto cartoon and I’ve got three of the cartoons he drew for my grandfather. ‘How you could go through what those guys were going through and still do that was amazing. ‘The trunk is a snapshot of what life was like, hell on earth. It’s in pretty good condition despite being over 100 years old. 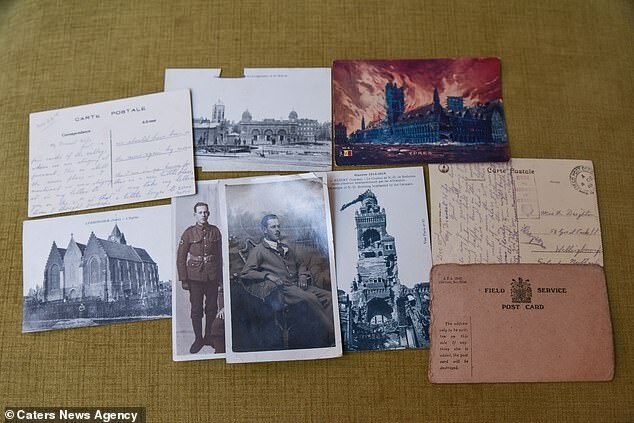 The trunk contains documents that detailed how Fred should treat casualties and reveals the shocking and gruesome reality of those injured during wartime. The grandfather-of-three said: ‘There are forms here about what to do when people were shot but it’s all so matter of fact.